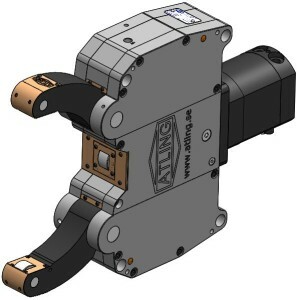 The ASE / ASI steady rest is a member of the same family as AXE/I, and have mostly the same components as Cylinder, Arms, Middle Piece e t c, the different components is Housing and Cover to be able to fit directly to existing brackets without necessary adapter plates. Its close the gap we had before between our standard series AXE and AXI and similiar common size from competitor. In the AS series we have chosen to make add a lot of new standard features such as preparation for proximity switches and the possibility to use coolant as a chip protection. Read more about this under features. Inducore active in the area of truck bodies, systems solutions, and component manufacturing.